GENEVA -- Building in Britain is not essential to BMW Group's Mini brand as most customers do not know where the cars are built, the brand's boss said. Peter Schwarzenbauer said BMW would decide by the end of this year whether to build a new electric model at Mini's core factory in Oxford, England, or the Netherlands, or whether to pick a new location. The comments were echoed by group CEO Harald Krueger, who said BMW is looking at Oxford, Born in the Netherlands and Leipzig and Regensburg in Germany as potential production locations for the EV. "It can be produced in several locations because of the vehicle architecture," Krueger said at a round table discussion in Geneva. Schwarzenbauer said the possibility of post-Brexit tariffs was "only one point when you have to decide where to produce a car" and the first question was where the model would be primarily sold. 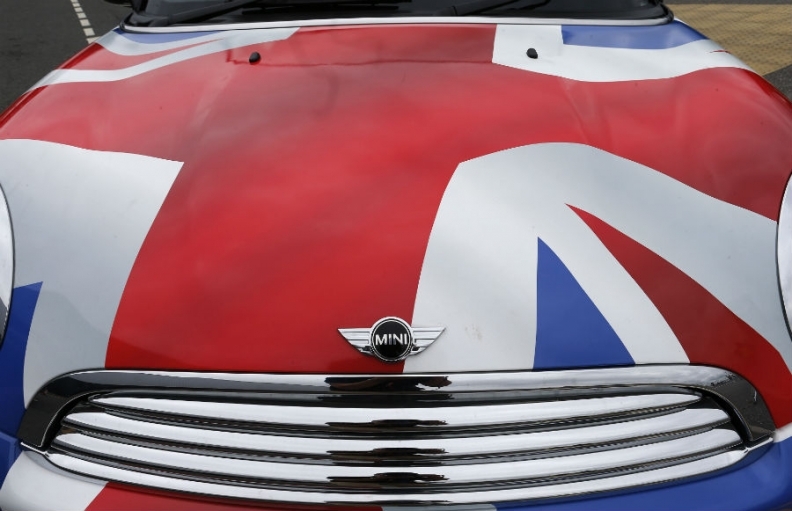 But asked whether it mattered to UK or foreign buyers that the Mini, sometimes sold with the image of the union flag on the roof, is made in Britain, Schwarzenbauer said: "No." "The brand being perceived as British, that's important but this does not mean necessarily that you have to produce it (in Britain). Most people don't know where the cars are produced," he said. Mini makes about 70 percent of its 360,000 cars in Oxford but there are concerns that uncertainty over Britain's future trading relationship with the EU could hurt the UK car industry, reliant on tariff-free trade. Prime Minister Theresa May has said the UK will leave the EU's single market and could also exit the customs union but she would seek to maintain the best possible access to the EU, the British car sector's biggest export market. Schwarzenbauer also noted elections in the Netherlands, where nationalist leader Geert Wilders is neck-and-neck with the Conservative prime minister ahead of polls next week, but said politics was only one factor in the decision-making process. BMW is considering how many electric models might be sold in Europe or the U.S., he said, and the firm constantly reassesses its global sites especially when it commits to new models to take into account a whole range of factors. "As soon as you have bigger investments coming, you have to reevaluate and it's not only in our Oxford (plant), it's true for every factory around the world. "Is the set-up still the right one? Do we have to extend it, do we have to reduce it?"